George Baker was born in Muncie, Indiana and moved to Richmond, Indiana in his early teens. Considered a brilliant colorist, Baker demonstrated artistic ability early in his life. 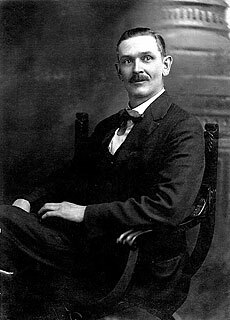 This interest in drawing landed him a job at the Gaar-Scott Company where like Charles Conner; he painted scenes on farm equipment. The farm equipment could be decorated with anything from pinstripes to completed landscapes. It was Mr. Scott who introduced Baker to the dean of the Richmond Group, John Bundy. In addition to art instruction with Bundy, Baker studied at the Cincinnati Art Academy and at the Boothbay Art School, Maine. Baker was a charter member of the Richmond Palette club, serving as the president of the organization. 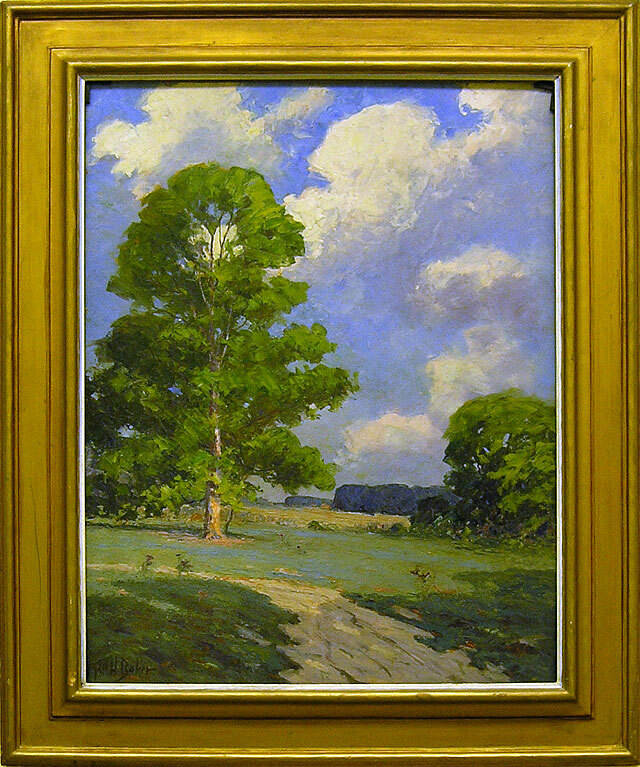 His was known for his landscapes of all seasons and moods, painting nature around Wayne County. His daring use of bold color led to rumors of alcoholism, yet these cannot be confirmed. When asked about his use of color Baker responded, “I don’t paint nature the way it is. 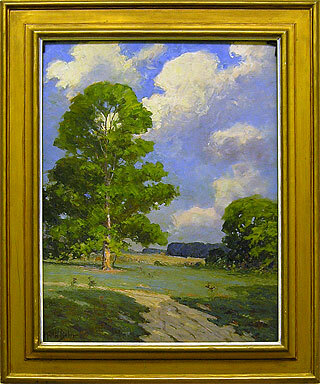 I paint nature the way I wish it was.” Considered to be one of the finest landscape painters in Indiana, Baker was invited to serve as a visiting instructor for two semesters at Miami University, Oxford, Ohio in 1925. Anna Dev. The Art of George Herbert Baker. July 2001. Palladium and Sun-Telegram, Friday, March 12, 1943. Obituary. The Richmond Item, November 1, 1931. page 6. Richmond Palladium Item, Monday, June 26, 1989. page A7 Rumors fuel artist’s popularity. ___The Richmond School; Presented by Jay County Arts Council and the Art Association of Richmond, September, 1985.